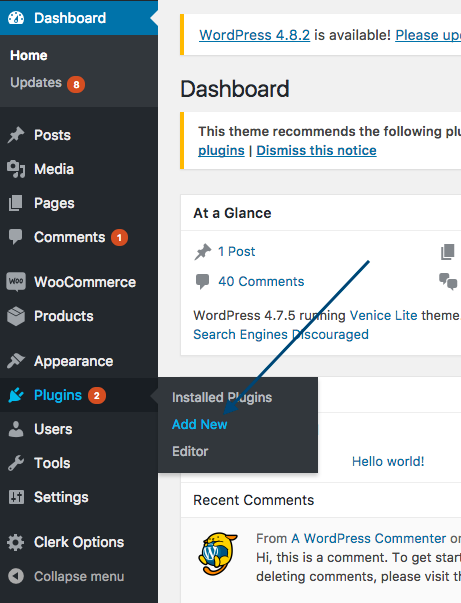 Upgrading the Plugin can be done directly from the WooCommerce admin. Then, search for Clerk in the search-field to the right, and click Update Now. Thats it! Now you are running the latest version of Clerk.io for WooCommerce. If you already have the latest version, this button will simply say Active.